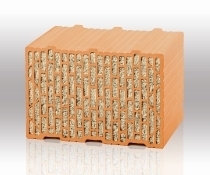 This clay masonry block was developed for use in the construction of energy-efficient detached, terraced and semi-detached houses. With its low thermal conductivity of 0.065 W/(mK), it can be used for putting up monolithic exterior walls with U-values up to 0.15 W/(m²K) – with no additional exterior wall insulation. 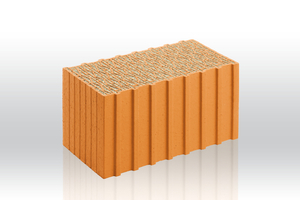 At the same time, this high-mass masonry block sports good static, fire-protection and sound insulation values. A 36.5 cm thick Coriso wall, then, has a sound transmission index, RW,constr.,ref, of 51.8 dB – thanks to its field-proven, purely mineral insulation filling in combination with innovative new webbing inside. 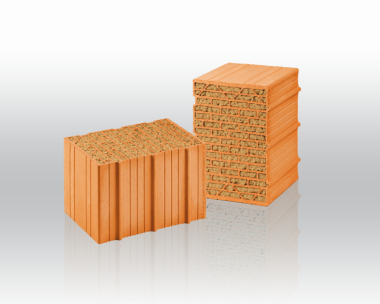 Unipor W065 Coriso blocks will be available in thicknesses of 36.5 and 42.5 cm for the 2019 construction season. 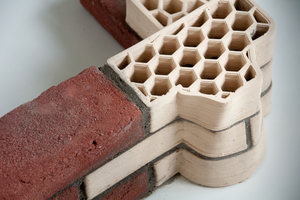 A Unipor Group research project is extending the range of 3D-printable products to include clay masonry units. The innovative new method was developed in close cooperation with Darmstadt Technical University. In the future, 3D printing will make it possible to produce special-purpose solutions, the serial production of which would otherwise be simply uneconomical. Some initial insights into the new manufacturing process, along with a number of finished models, were presented for the first time at BAU 2019 in Munich. 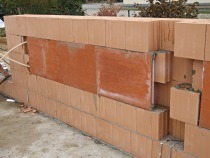 Unipor Group brick plants all over Germany are actively involved in the project. 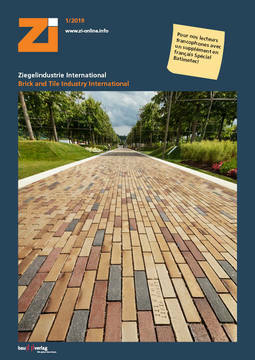 In particular, the Wenzel clinker and brick plant in Hainburg is closely involved in the research process. Family business entrepreneur Rudolf Bax has a clear vision for his clay products plant: “We expect to use 3D printing in the future for making structural clay products that would not be possible to produce according to present-day processes. Also“, he adds, “the bricks‘ physical properties could be optimized at the same time.“ A robot developed with that in mind plays a major role in all this. Stationed at the Unipor member plant in Hainburg, it doses the raw material according to a batch-accurate digital model. Thanks to the bricks‘ freedom of geometry, randomly shaped façades can be implemented, and dedicated bricks can be designed to facilitate window installation or masonry façade connection systems. Required only in isolated instances, such special products cannot yet be manufactured cost-efficiently. A sophisticated additive method could revolutionize that aspect – and do so at acceptable expense.